Maggie: It wasn't your fault. "Bull" McCabe: Wasn't it my mouth the words came out of? 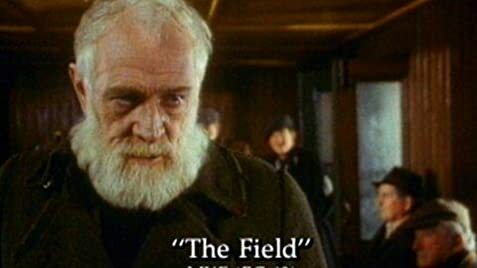 Q: When is "The Field" set? I am glad to see from the previous comments that there is much appreciation from around the world on this film. However there has been no comment on this site (that I have seen) about the writer, John B.Keane. John B (as he was more commonly known) is a legend in Irish literature and unlike so many others I had the pleasure of reading much of his work while he was still alive. John B lived all his life in Listowel, Co.Kerry where he ran a pub. He has been writing for many years mainly about the characters that he knew and grew up with. Much of his work was based on these people and adapted for fiction. If you walk into any good bookstore I am sure that you will come across plenty of his work. If you like The Field then I recommend that you read The High Meadow, Durango & Under The Sycamore Tree. 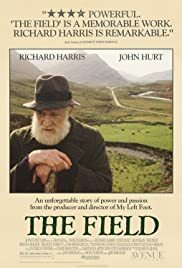 John B wrote several plays along with The Field including Sieve and Sharons Grave These are fascinating novels and give a brillant insight into Ireland in the 1950's & 60's. But for those of you who know nothing of Ireland, it is not the Ireland of today. John B Keane died last year (summertime I think). May he rest in peace. Coincidentally, Richard Harris died last October. This film is a fitting tribute to him as it is in my humble opinion one of his finest performances and one of the finest in film history. Truly great actors show their colours in this film and what it means to be able to act. I am glad to say that Sean Bean gives an outstanding performance in a very unfamilar role as Tadhg. John Hurt is also outstanding in a difficult role.